With a comfortable night's rest, we had a scrumptious breakfast at Hotel New Otani Kumamoto before heading off to the first stop for the (third) day. 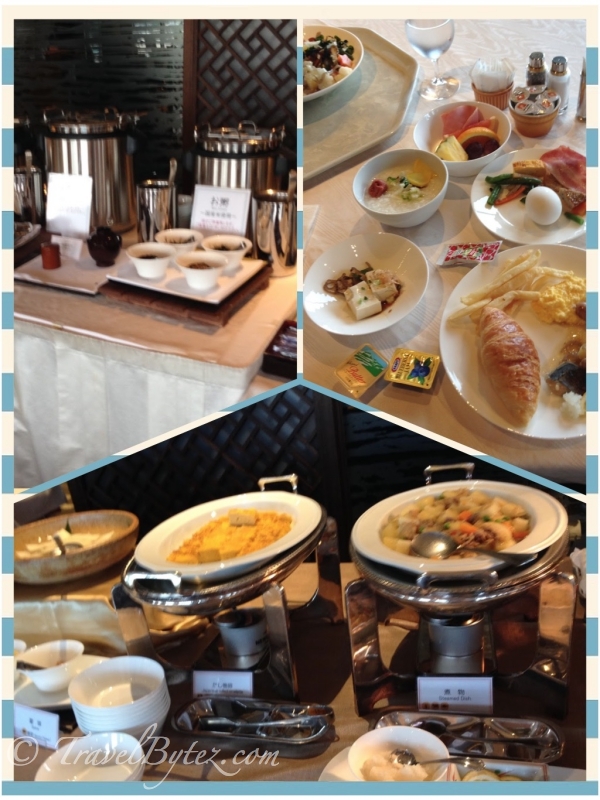 A hearty breakfast.. then it was check out time with our luggage and on to the first stop on the bus! Located in Nagasaki, Japan, Peace Garden is a park that commemorates the atomic bombing of the city during World War II (1945). 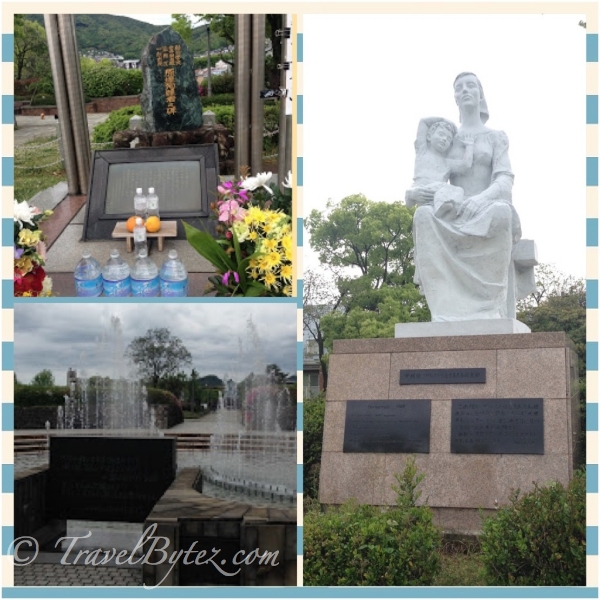 The park houses a collection of monuments, the most prominent one being the massive Peace Statue, a monument that marks the epicenter of the atomic explosion and stores a list with the names of the victims. The other monuments are contributed from cities and countries around the world to demonstrate their commitment to world peace. Accounts of the victims, survivors, of the bombing are peppered throughout the park and makes for a more up-close and personal experience of what the victims went through. Knowing the history behind the incident and reading the accounts of the victims, made it an emotional visit. 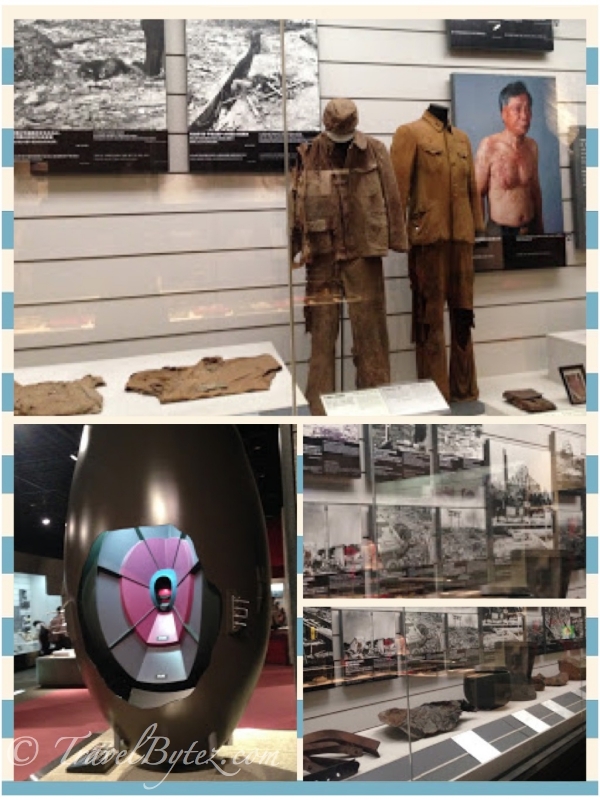 When we completed the tour around the Peace Garden, we went on to the Atomic Bomb Museum. The museum portrays the bombing incident as a story, focusing on the attack and the history that led up to that ill-fated day. There are also displays of photographs, relics and documents that are related to the bombing and the history of the development of nuclear weapons. After the rather depressing visit, it was on to the next stop... Kumamoto Castle, which was a much cheery place. :) While I appreciate the opportunity to be able to visit such a site, I believe that the purpose should be to educate and to remind ourselves not to fall back into the same situation. But humans being humans, atrocities of all kinds are being committed on a daily basis, it just depends on how much publicity and how atrocious that deed impacts the rest of the world or other people. There are two ways of looking at it: an opportunity to educate and learn from past mistakes, or an opportunity to capitalize (unconsciously or not) on a a mistake that should not be repeated.